Eddie MacDonald (66) on the pole at the start of the race. 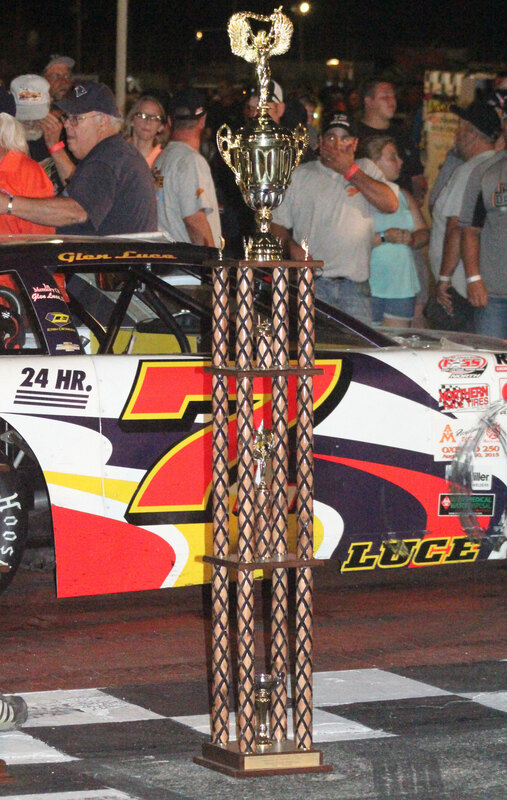 Winner Glen Luce (7) started 22nd. 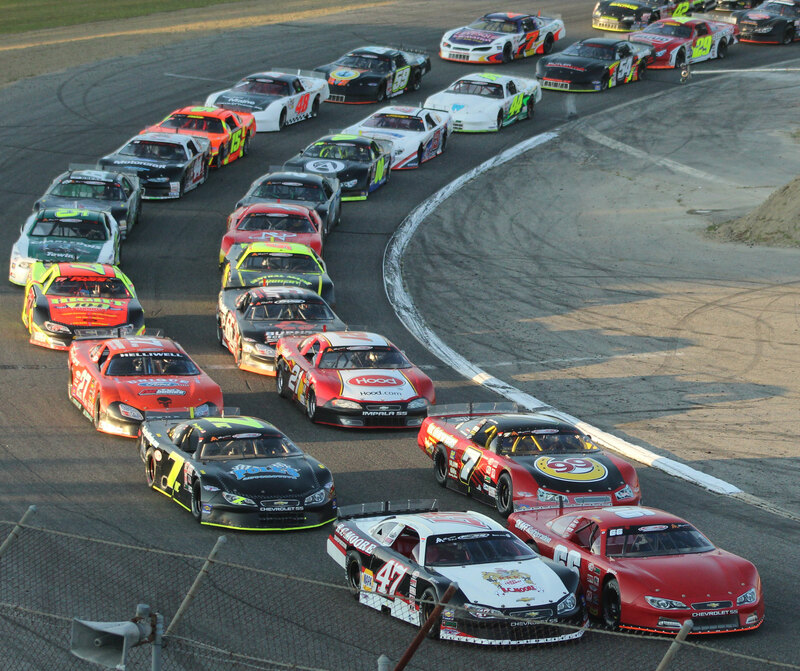 (Oxford ME) I rechecked all the area previews for the Oxford 250. No sign of Glen Luce or Reid Lanpher. Won’t happen next year. 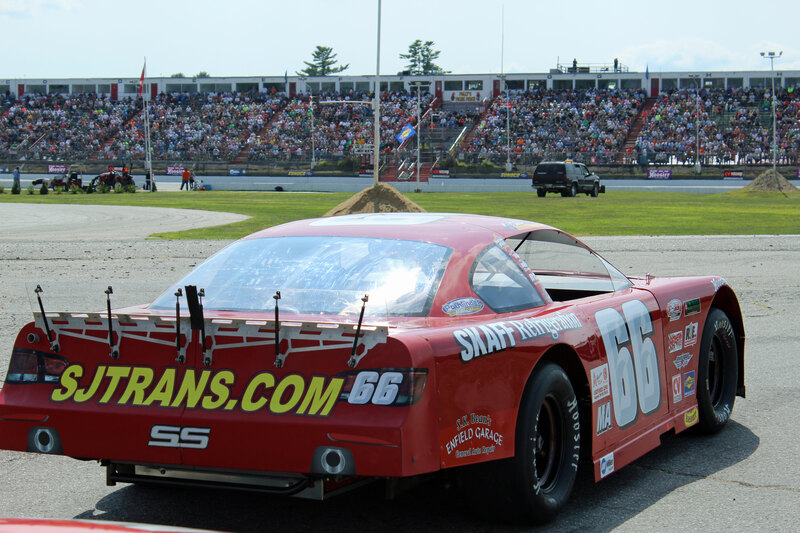 The 48-year-old Glen and the 17-year-old Reid took over the race at the Oxford Plains Speedway in the final fifty laps to exit from big-race obscurity. Good crowd and excellent weather for what is conceded to be Maine’s biggest sporting event. This year’s edition of the race fooled me a number of times. Before the race I liked the chances of Travis Benjamin after he had won this event two straight times. But what about Eddie MacDonald? The two-time winner was back after missing four years and after I saw him zip through his qualifying race to gain the pole position I liked his chances. 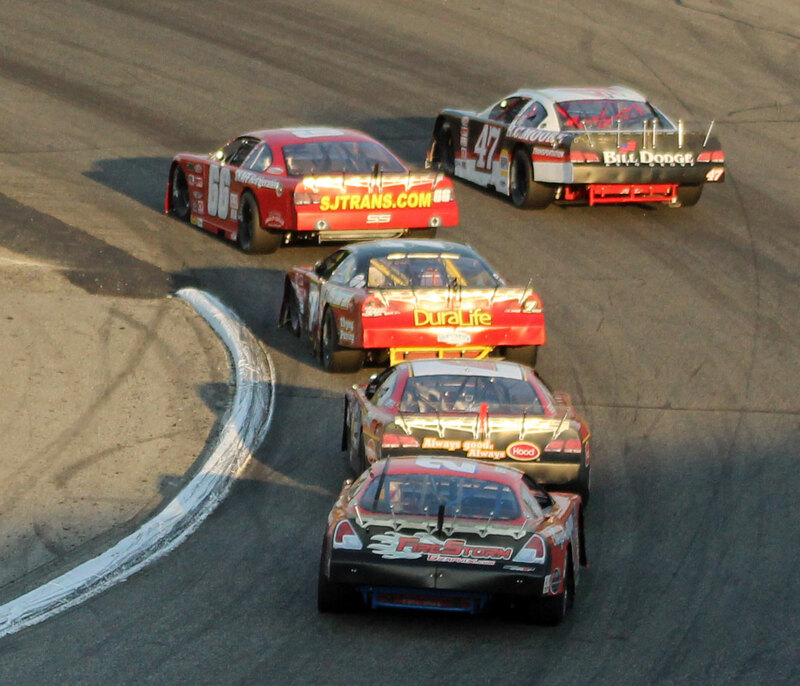 Eddie MacDonald loses the lead to Jeff Moore on the outside. And then the race started. From my perch on the press box roof I could tell that whatever Eddie’s car had in qualifying it didn’t have it anymore. 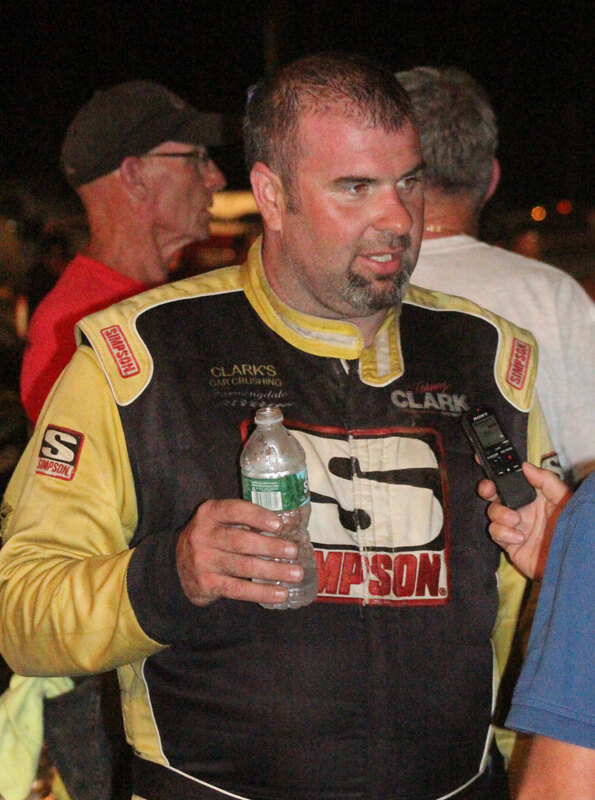 On lap four Jeff Moore took over and the slide back for Eddie reached 24th place at the end. 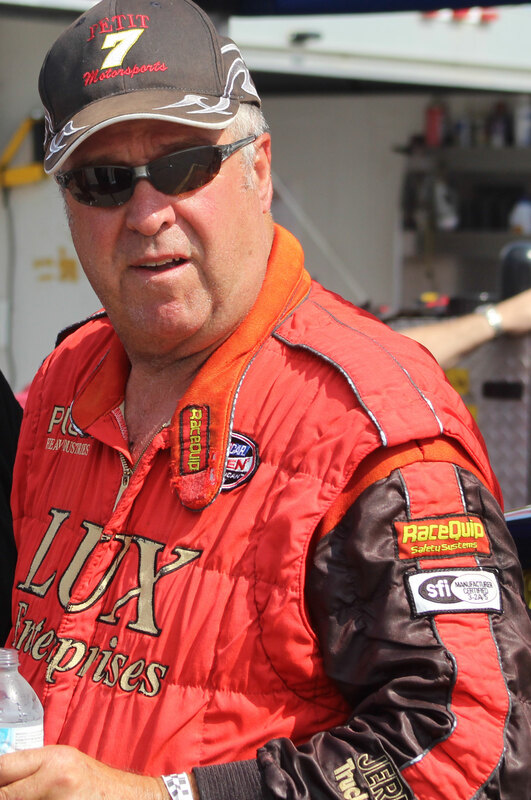 The next driver I thought would win was Wayne Hellewell from Tamsworth, New Hampshire. Wayne got to the front in Lap 17 and seemed locked in that spot. But 250 laps are a long way from 17 and eventually in Lap 161 things changed. 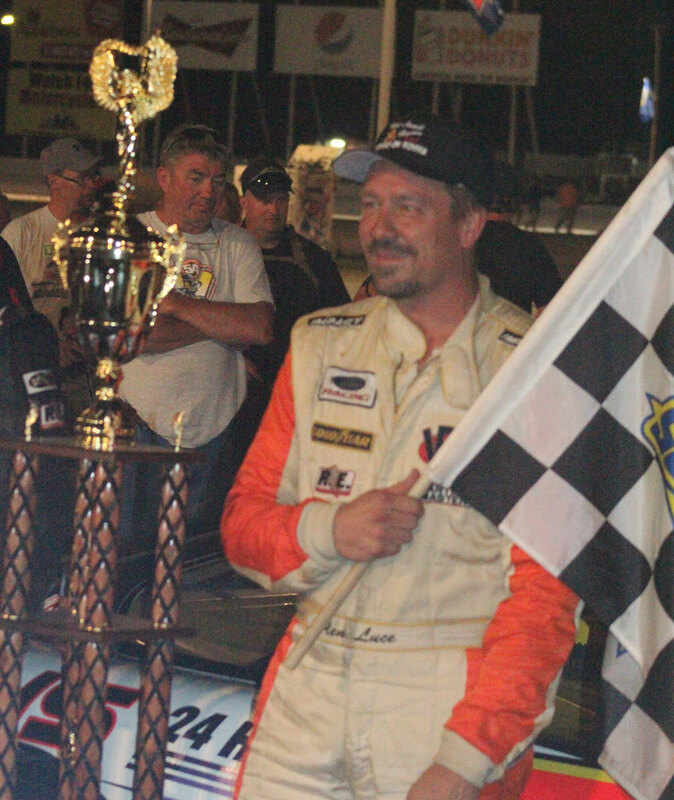 Wayne earned $14, 500 for all the laps he led. 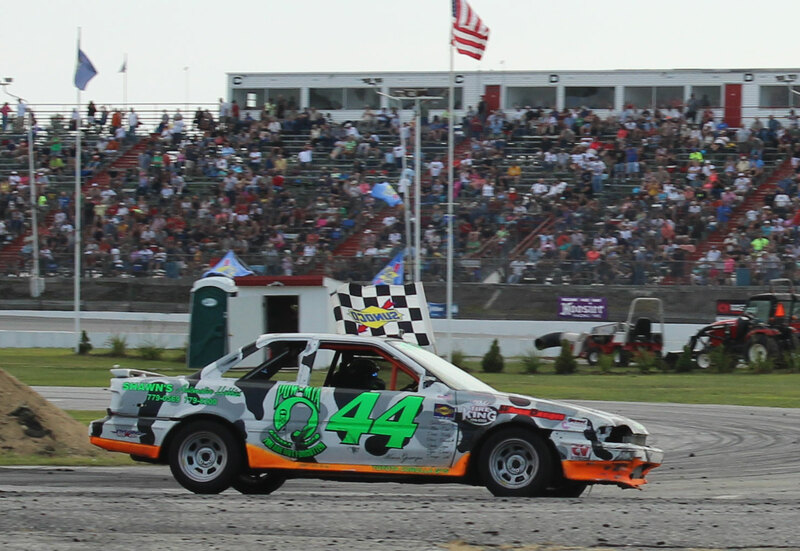 Glen Luce pulled ahead in Lap 201 and fought off the Marancook Senior from Manchester (Maine) the rest of the way. The twosome had plenty of slower cars to deal with and you always worry that one of them will do something to mess up a faster car. But it didn’t happen and Glen took the title by just over a second. 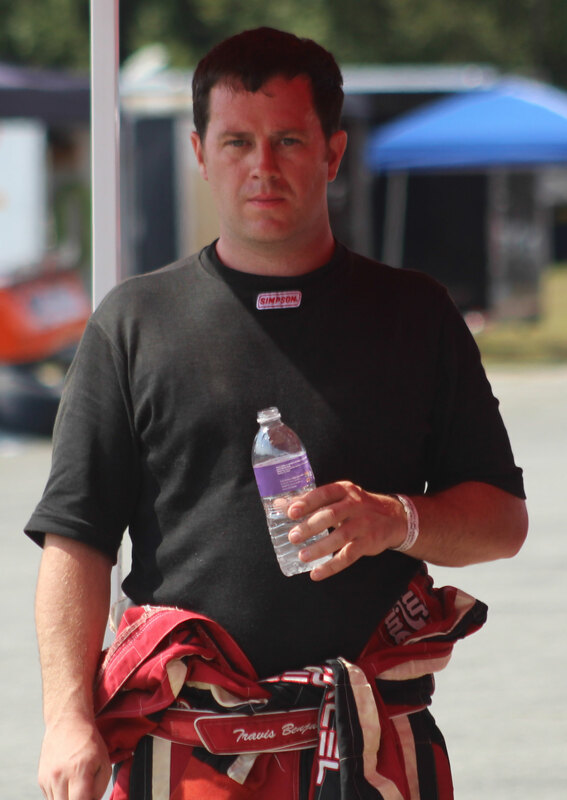 Ben Lynch, formerly from New Hampshire but now from Charlotte, North Carolina ended third. He said afterwards that the lapped cars bothered him because he couldn’t get up top to get around them very well. Glen Luce had a back row start in his qualifying heat. 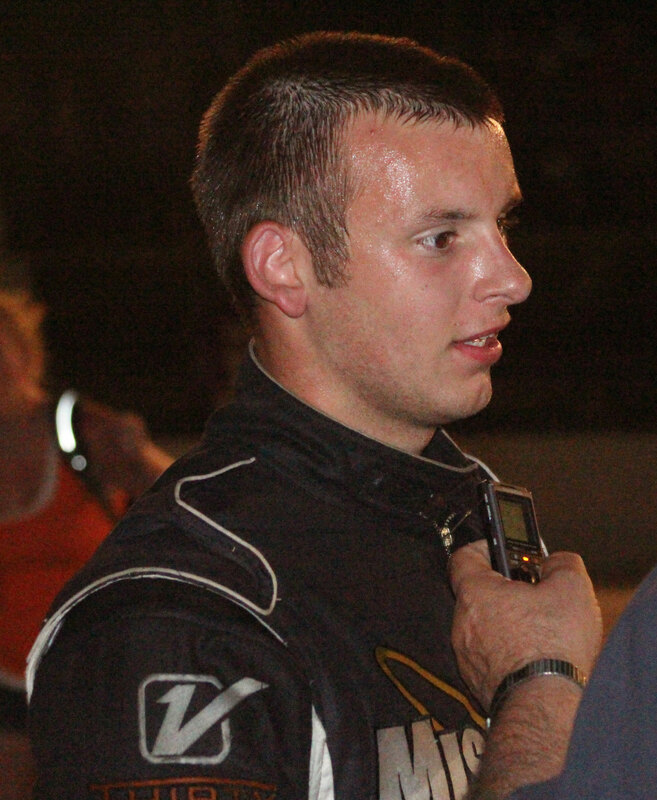 He began 22nd in the main event field of 41 drivers. 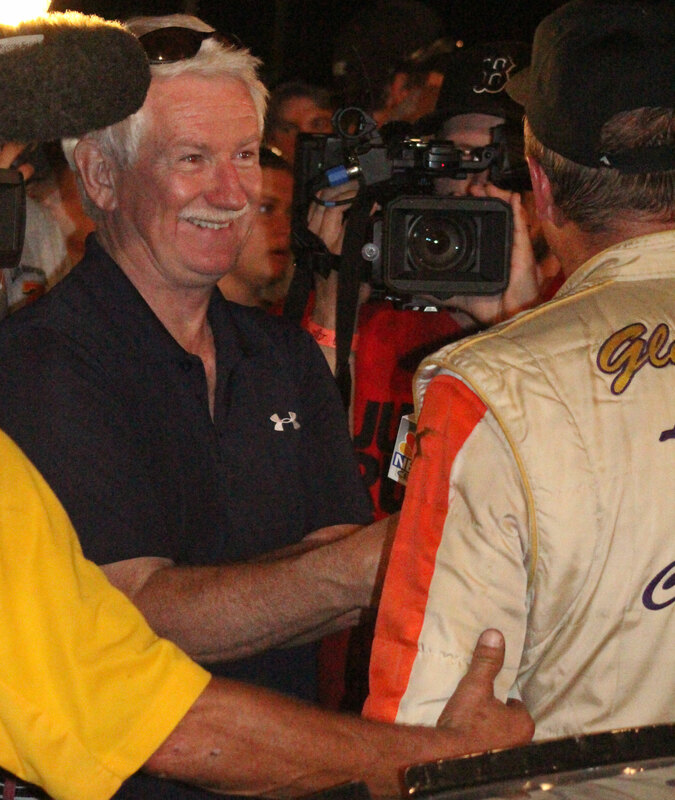 Glen picked up a check for $30, 100 for the win. It was positively not Travis Benjamin’s day. He tried to qualify several times and ended up starting far back each time. 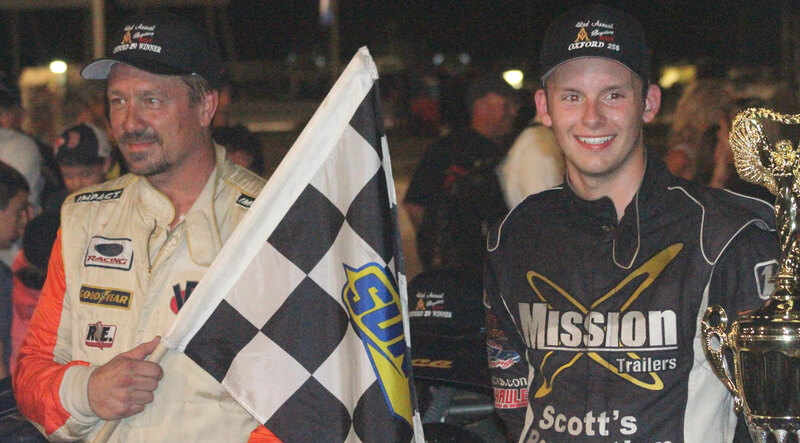 He was given one of the provisional spots to get into the main event. He finished 17th. Impressive run by 2012 champion Joey Polewarczyk to get 5th place. 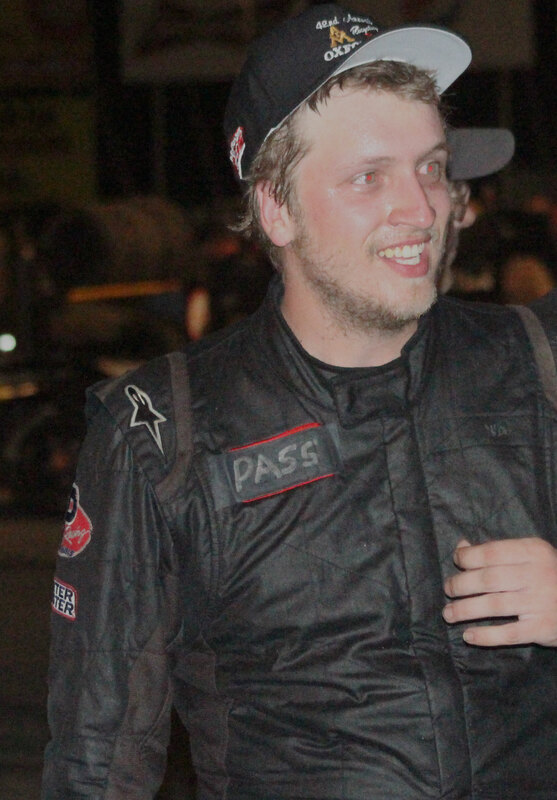 Joey won the Last-Chance heat and started 34th but found a way to end near the top. Vanna Brackett was the lone female in the field. 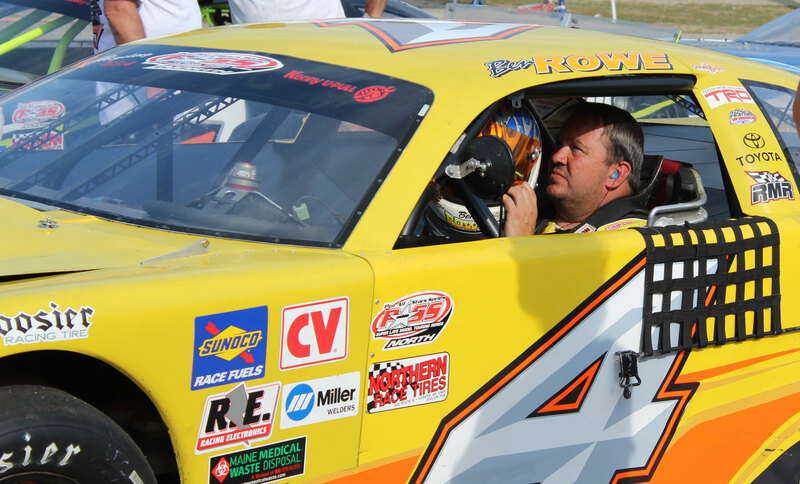 Three-time winner Mike Rowe looked strong in the early going. I thank OPS media relations director Alan Dietz for arranging my visit to the track. One of the confusing things about racing is the numbering. Quite often cars have the same numbers. 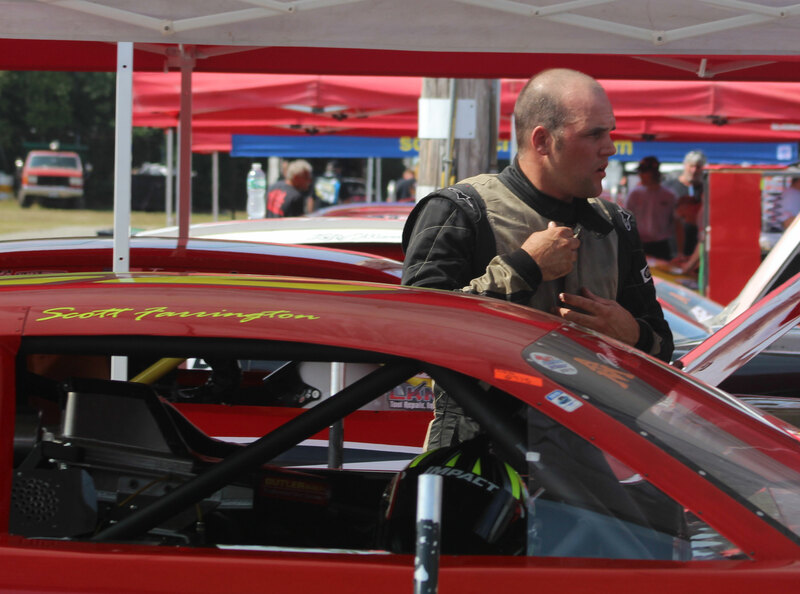 Granted, those who follow racing know one car from another without needing the numbers. But for newcomers and semi-regulars it is confusing. All of the cars were required to have at least one pit stop. 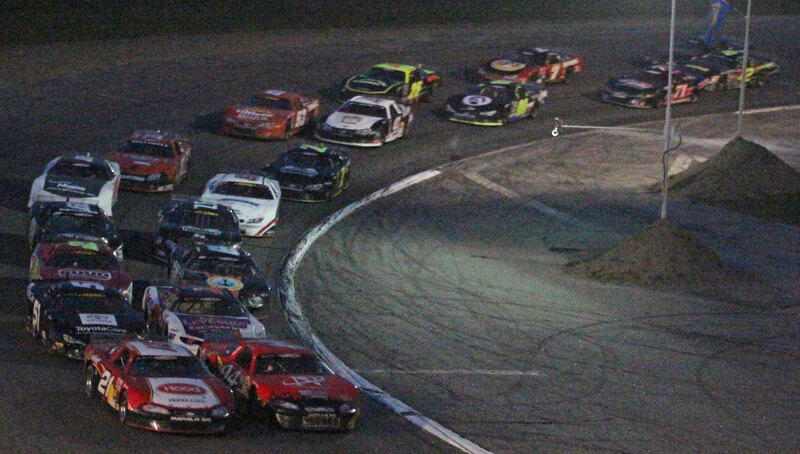 This was unfamiliar territory for many of the drivers. I thought that the OPS staff was outstanding. They knew what they were doing and got it done decisively and quickly. There were several spin-outs but I never saw a wrecker get involved. The pictures just below this paragraph are the sequence of one of those spin-outs. Car #36 ends up facing the wrong way with plenty of traffic approaching. 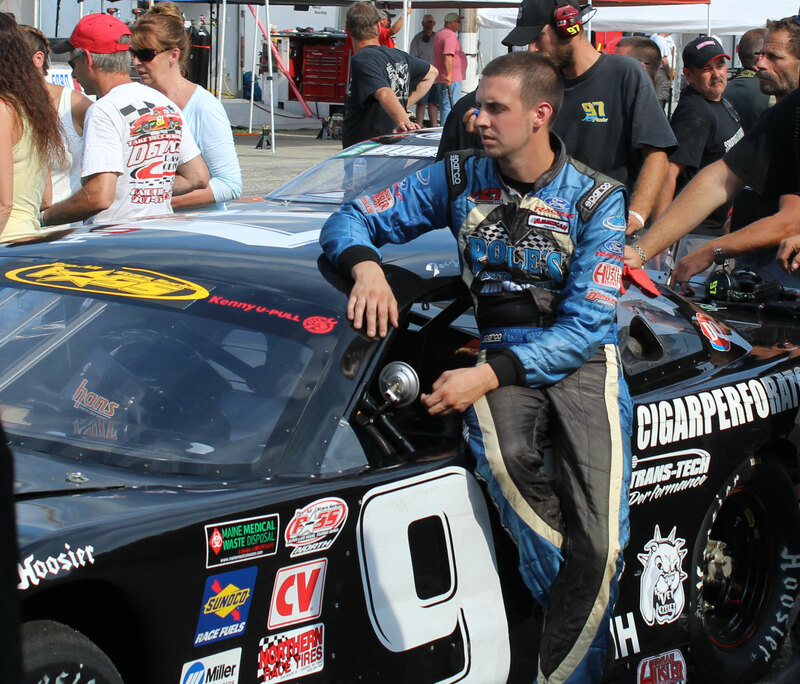 Reid Lanpher in Car #59 was one of those nearby but got around trouble. Click on each picture to get a bigger view.